The new Chabad Center of Montreal's South Shore, led by Shluchim Rabbi Zalman and Sterna Sara Samama, held one of their first programs on Purim. For 25 years, Jeff Soussana didn’t know anyone else on Montreal’s South Shore who kept the Sabbath. When he wanted kosher food and a place to spend the 25-hour stint, he’d find himself having to leave the suburbs and stay over in the city, about half an hour away by car. Then Chabad-Lubavitch Rabbi Zalman Samama moved to the island. In and around Quebec, new Chabad Houses are springing up to serve area residents, offering Sabbath meals, learning opportunities, and new places people can explore their connection to Jewish tradition. Among them are recent additions in the South Shore, Dorval, and Saint Sauveur des Monts. The South Shore’s Soussana, whose parents moved to the area in the 1960s, said he recalled a Chabad presence in the area in the mid-1990s, but hadn’t seen anything recently until a few months ago, when Samama and his family bought a house in Brossard, close enough to where he lives. “It was a pleasant surprise to hear there’s a Chabad House here,” he said. Soussana’s looking forward to seeing it grow beyond guests coming from Montreal, a handful of regulars, and the rabbi’s family, adding that he’d love to see a kosher bakery, kosher butcher or Jewish school move in, too. The rabbi, on the bus with a yarmulke on his head, still draws quite a bit of attention from people not used to seeing such open displays of Jewish pride, he explained. But Sousana hopes it’s all just the beginning. Samama and his wife, Sterna Sarah, moved to the area in October 2010 with their two children. They spent a year before they moved knocking on doors and visiting area shopping centers, getting to know the residents and trying to get a feel for people’s interest in the opportunity. Their first event was a Purim party featuring the only public reading of the Scroll of Esther in the South Shore. Held in a barbershop, the bash was arranged by someone the Samamas had met just two weeks before. By Passover, the couple was giving out 100 boxes of special handmade matzah and the rabbi was making weekly trips to the area. A Sabbath weekend that drew 20 people for the Friday night meal clinched their decision, as they listened to singles, young couples, and families with kids talking about how they wound up living on an island with not much in the way of Jewish infrastructure. Between gathering 10 men for a public prayer quorum and hosting holiday events, having people over for Sabbath meals and reconnecting people with Jewish experiences they may not have had in years, the Samamas are keeping busy. Their very first weekend, they spontaneously wound up hosting their next door neighbor, a Jewish man who said it was his first Sabbath in the 35 years he’d lived there. 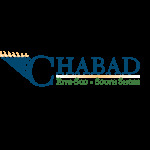 Rabbi Shmuel and Rivka Kaufmann of the newly-established Chabad of Dorval are in the beginning stages of expanding their Jewish community as well. Among the current draws: “Good company and better food” around the Sabbath table. He said he’s excited to build a community and outgrow their current space to give area Jews a place to have positive Jewish experiences. “We only just started and we have 40 families in the area, which is an encouraging start,” he said. The Kaufmanns envision one day helping people at the Montreal airport find kosher food and a place to pray, akin to other major airports around the globe.